By Heather A. Long, Esq. “Knowledge is power” is an old adage that is especially significant if you are involved in a workplace injury. All too often, injured employees attempt to navigate the murky waters of their work injury claim on their own, without the critical knowledge necessary to protect their rights. It goes without saying, that your health is the most important thing to protect. Employees who are injured on the job don’t always understand the rights to which they are entitled. Hopefully, this article will help you by giving you a very broad overview of those rights. Keep in mind, you are generally entitled to these rights no matter how you were injured; workers’ compensation is generally a “no fault” benefit, because it doesn’t matter who was at fault for your injury, only that you are injured while working. 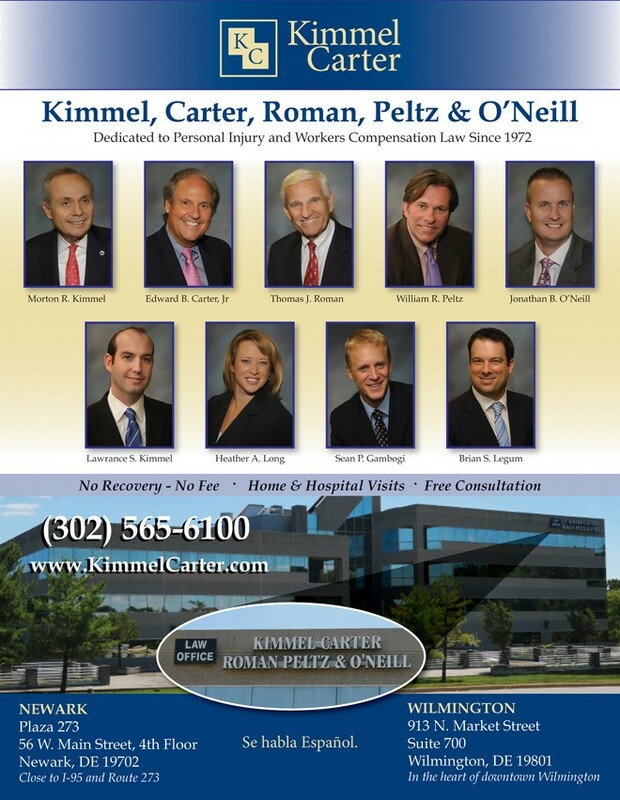 What are injured workers entitled to under the Delaware Workers’ Compensation Act? Most of your rights under the workers’ compensation laws in Delaware are based on your average weekly wage (AWW for short). Workers’ compensation wage benefits can pay up to 2/3 of your AWW, up to a limit of $679.63. This benefit is designed to replace your wages when you can’t work for more than three days due to injury. This benefit is also available on a partial basis if your doctor restricts your work hours. If you are injured in the course and scope of your employment, you are entitled to medical benefits for the rest of your life. This is as long as the treatment is reasonable, necessary and related to the work injury, and your Delaware caregiver is also certified under the Workers’ Compensation Statute. (If you see an out-of-state caregiver, they do not have to be certified under the Workers’ Compensation Statute.) A list of certified providers can be found on the Department of Labor’s website. The worker’s compensation insurance company must pay at least one medical bill every five years in order to keep this benefit active! You are entitled to mileage reimbursement of forty cents per mile, roundtrip for your doctors appointments. If you were unfortunate enough to have suffered a scar or other physical disfigurement as a result of your work injury, you are generally entitled to compensation. Any scar and/or disfigurement that is visible when properly clothed can be awarded a monetary settlement. The amount of the settlement is determined by the location, size and visibility of the scar. If your work injury is permanent, you may be entitled to a lump sum payment. The amount of this recovery is based on a formula which takes into account the part of your body that was injured, your percentage of impairment and your workers’ compensation rate of pay. Because each work-related accident is unique, all of the rights listed above will not necessarily apply to every case. If you are injured at work, the best thing you can do is become informed about your rights under the Delaware Workers’ Compensation Act. In order to make sure that you receive all of the benefits you deserve in your time of need, I highly recommend that you obtain an attorney to guide you, and protect you, through the rough waters you are sure to encounter on your journey through the workers’ compensation system. I offer free consultations with no attorney’s fee to be paid until your case is settled. This gives you the peace of mind you need in order to focus on the most important thing- your health. Heather has been an attorney for over six years, and is currently practicing Workers’ Compensation and Personal Injury Law at Kimmel, Carter, Roman & Peltz, P.A. with offices in Newark and Wilmington. 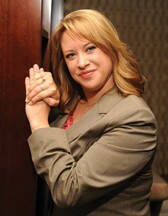 Heather worked her way through law school as a paralegal in a personal injury firm. After passing the bar exam, she spent several years working as a defense attorney, representing local, regional and national companies. With the knowledge gained about the inner-workings of these companies, she now represents injured workers and personal injury plaintiffs. Heather is a graduate of Widener University School of Law, and the University of Nebraska- Lincoln. Prior to attending law school, she was licensed as a paramedic and spent time volunteering for her local ambulance corps. She is also active as a mock trial coach for Salesianum High School. Heather is licensed to practice law in Delaware, Pennsylvania and New Jersey. For more information, or to schedule a free consultation, please call (302) 565-6132 or email her directly at HLong@kcrlaw.com.